The Transco Pipeline, which connects New York City to natural gas sources, experienced its heaviest use ever in January, proving the City needs pipelines. Nothing more is needed to understand New York City dependence on natural gas from sources between here and the Gulf than the latest news from Williams, the owner of the Transco Pipeline. We’re talking record deliveries due to the recent polar vortex. The critical nature of the Northeast Supply Enhancement project to keep the New York City metro area warm became so obvious even the Geico Caveman could see it, notwithstanding the opposition of Food & Water Watch and other gentry class shills for the anti-gas project. Williams announced today that it recently delivered a record amount of natural gas on its Transco interstate gas pipeline, providing essential services to gas distribution companies, power generators, LNG exports and other customers located along the Eastern Seaboard and Gulf Coast. The City of New York issued its PlaNYC: A Greener, Greater New York sustainability plan in 2011. The plan is a multi-pronged approach to sustainability and includes energy goals such as reducing New York City government’s energy consumption, strengthening building codes, supporting the expansion of natural gas infrastructure, fostering the market for renewable energy, and accelerating reliability improvements to New York City’s electric grid (NYC, 2011). The Project would align with the state and local goals outlined above primarily by improving air quality and offsetting the use of more carbon-intensive fossil fuels by supporting the continued conversion of building heating systems from fuel oil to natural gas in New York City. Burning natural gas produces about 80 percent less particulate matter and lower emissions of other contaminants than burning no. 4 fuel oil (NYCDEP, 2012). As of 2012, New Yorkers continued to burn more than 1 billion gallons of heating oil annually, contributing to approximately 14 percent of all fine particulate matter emitted in New York City (NYCDEP, 2012). The use of no. 6 fuel oil as a primary heating fuel was largely phased out by 2015, and the use of no. 4 fuel oil is still scheduled to be largely phased out by 2030. So, there you go. If you’re truly serious about reducing emissions, improving health and staying warm in New York City, then acknowledging dependence on natural gas, and recognizing growth in use of natural gas is the means to make further progress, is an unavoidable necessity. The Northeast Supply Enhancement Project is likewise a necessity, which brings me to a final point. Why in the world isn’t this project given a name consistent with its importance? I would have called it the “Transformation Project” because that’s what it will enable; the transformation of the New York City energy supply to one of lower emissions and improved health while staying warm. 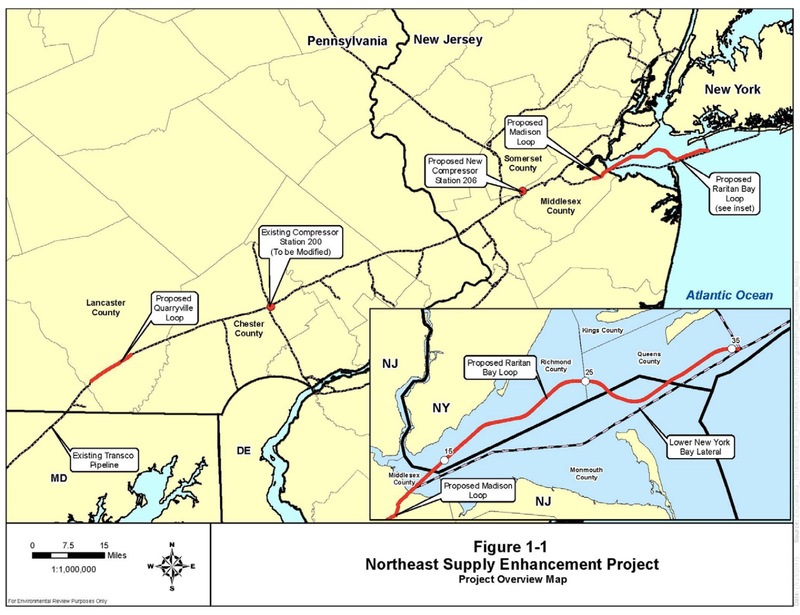 Since the Williams NESE pipeline came up it is important to know that food and water watch and others opposing this pipeline proposal in fact claimed that the formerly proposed port Ambrose lng import project , which was vetoed by governor Cuomo, was secretly actually an intended export project. That was fiction or a conspiracy theory of their own creation. It is also important to know that news orgs like say the nytimes for example haven’t covered this proposal in the two plus years it has been contemplated while others have covered it based on MISINFORMATION provided to them by those in opposition to the project. The lack of natural gas in Harlem and other low income parts of NYC stands as a embarrassing example of double standards of its urban politics. The sacrifice Cuomo has burden on the poor and lower middle class in NYC through blocking pipelines, is both costly and inhumane as he sticks to his fantasy of 2030 now moved to 2050 100 percent renewables.